I often remark that where I live in Central Buchan I get more passing air traffic than road traffic, an observation that is reflected in From Buchan Skies. During June 2017 I made a series of environmental recordings at different times of day and in different weather conditions. The basis of this piece is a recording made on the afternoon of 8 June starting at about 3pm. The afternoon was dry and sunny, but also windy, and the main sounds I captured were birds and aircraft. An ornithologist would probably be able to provide a much more detailed list of the birds than I can; the aircraft were mostly helicopters ferrying personnel to and from oil and gas installations in the North Sea. Other sounds you may notice are the wind in the trees and occasional passing road traffic. The original unedited recording is heard throughout the piece, but I have enhanced the drama by sampling some of the sounds, particularly the aircraft with their initial steady drone as they approach and the inevitable Doppler shift downwards as they pass overhead. I then built up layered repeats of these samples at different speeds. Is this music? Sound art? Something else? I don't know, and I'm not too concerned for it to fit into any particular pigeonhole. For me, the human creative element was the sampling of the aircraft and the building of these samples into a very slowly developing canon that gradually accumulates up to 24 voices. For the most part I left the birds to do their own thing in their own time. There's a lot of talk right now about slow art: art that takes time both to create and to enjoy: a backlash against the increasingly busy lives we all imagine we have. Examples of slow art were explored in a recent BBC Radio 4 broadcast on the subject, part of the In Search of Beauty series, highlighting such practitioners as James Turrell with his perception-altering Skyspaces, David Nash and his Ash Dome, and the musician and composer Jem Finer, with his Longplayer: a 1000-year-long piece of music begun at the turn of the millennium. These are all very grand and famous examples, but Aberdeenshire-based musician, composer and writer Haworth Hodgkinson has been quietly making slow art for the last twenty years with his thematic ambient sound compositions. Hodgkinson's music isn't for everybody, but it is interesting and original. It demands something of the listener, something that we all feel is in preciously short supply: time. In 2017, Hodgkinson released From Buchan Skies, a hypnotic ambient soundscape running to one hour and ten minutes. Hodgkinson works by drawing from the environment to inspire and construct his compositions, and From Buchan Skies is no exception. 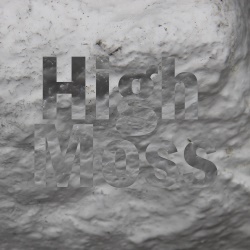 It is based on sound recordings taken directly from the landscape in which Hodgkinson lives, embedded with the birdsong found amongst the gorse, woodland and hedgerows of Buchan, and impregnated with the disembodied, pulsing reverberations of helicopter traffic crossing the Buchan coast flying to and from the rigs of the North Sea. This is not a dramatic piece in the traditional sense, but a deeply soulful transit of inner and outer contemplation. Give yourself up to it, and you will find yourself taken from the reassuring sounds of the country to the almost disturbing sonorous meanderings of the later parts of the movement. 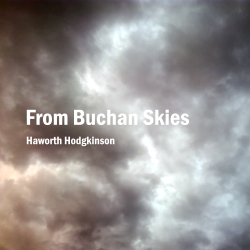 Despite the inclusion of samples of passing helicopters overhead, transformed as they are by Hodgkinson's imaginative rendering, there is something ancient in the sounds of From Buchan Skies. It conjures for me an ever-present, gradually changing landscape made up of shifting sand dunes, marsh grasses, hedgerows and worked fields; a landscape witness to the passage of time we can't begin to imagine from the perspective of a human life-span. The helicopters passing overhead, a background modulated droning that unsettles as much as surprises, evokes the transience of human endeavour against the deep-time of the landscape. From Buchan Skies, like all of Hodgkinson's music, is not a composition you can just play and forget about. It is not background easy listening. It demands attention; dare I say it, mindfulness, in order to appreciate it. Hodgkinson has created a world of sound that we can inhabit for an hour or so, one that leaves the listener free to interpret that world as they wish. For me, it evokes the unfathomable depths of time from a landscape close to home. For you it may evoke something entirely different, but you won't know until you set aside some of that precious time and give it a listen.